It looks good and fits very well even with the curved tempered glass screen protector. It also makes the S9 less slippery for butter fingers like mine. For all intent and purposes, this phone case is fairly good for its low price. Although it may seem very stylish and protective, in fact it's the opposite. It's well-textured and very easy to grip, however, it is very slim and provides little protection to such a phone. I'd recommend getting a different case with more protection, unless you're looking for a slim, simple phone case. This is an ok case. For $10 I would have expected more. Trying to find the right case for my new S9 has been difficult. So far 2 cases that I have received are not QI charger compatible. I have only had this phone for less than a month and have 6 cases. The only case that I have so far that works all the way around is a "Poetic". I imagine that this case works with the wireless charger I'm just not in the mood right now for pulling off the Poetic case and putting on the Oblique. Not to mention the fact that all of the 9H glasses break in the corners at the 1st chance possible. I am now waiting for the Gel screen covers. I love this phone and Everything else about it is awesome. 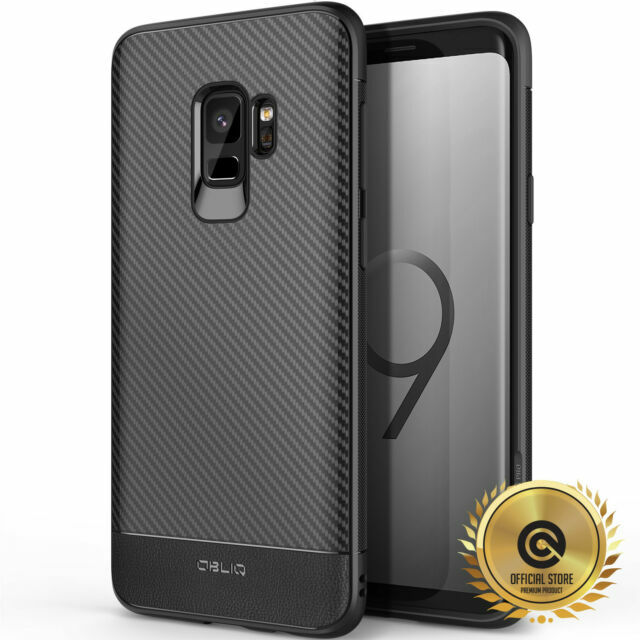 This is a very well designed case for the galaxy S9 very functional.